Now that we're in neck-deep in Plastic Free July, which is all about reducing our use of single-use plastics, it seems timely to write about a project I've been involved in for the past year (but which launched last month): Boomerang Bags. They're reusable shopping bags made with love by volunteers from recycled fabric and given away or sold at local shops to reduce the use of plastic bags (one of the Big Four plastic evils of modern life along with coffee cups, plastic straws and water bottles). I first heard about them early last year on Norfolk Island, which is big on low-impact living. 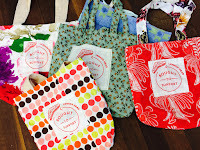 Each bag had a distinctive boomerang-shaped logo on it and a label that said, "Sustainably sewn on Norfolk Island". How cool, I thought. Then: if this little island (population 1600) can do it, maybe our little seaside town could too. I'd been wanting to get involved in a local environmental project and as a surfer living by the sea I loved the idea of doing something to help reduce the use of plastic bags, which often find their way into our waterways and from there into the bellies of seabirds and turtles and other marine animals. Meanwhile Monica Wilcox, president of Lennox Head Residents' Association, was looking for a positive community project. 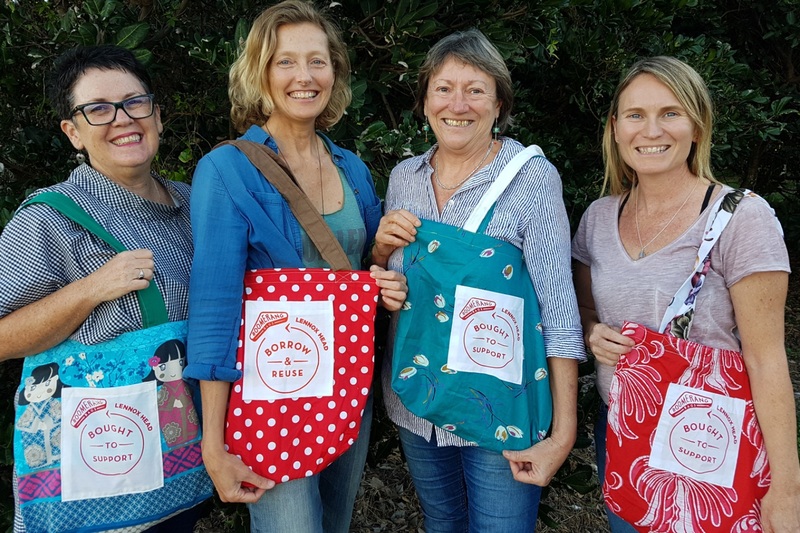 We got talking, with Kelly Saunderson and Shaun Eastment, two other inspirational women who care deeply about community and the natural environment, and Boomerang Bags Lennox Head was born. Not only is this the first time I've helped set up a community group, I'm no sew-er (despite the fact that my late mum made all my clothes when I was growing up; sorry, Mum!). 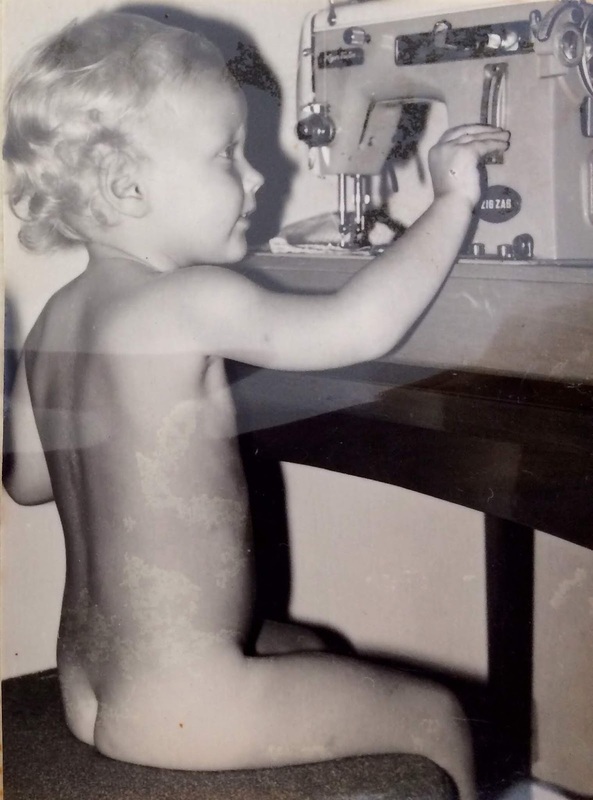 I have actually sat down at a sewing machine once or twice, under close supervision, at a couple of our sewing bees, but I still feel more at home in front of a laptop. Fortunately there are plenty of other things to do at our twice-monthly sewing bees, such as ironing, sorting and cutting fabric, screen-printing and counting bags - we've made about 700 since we started the sewing bees in September last year. And it's not just about making bags. 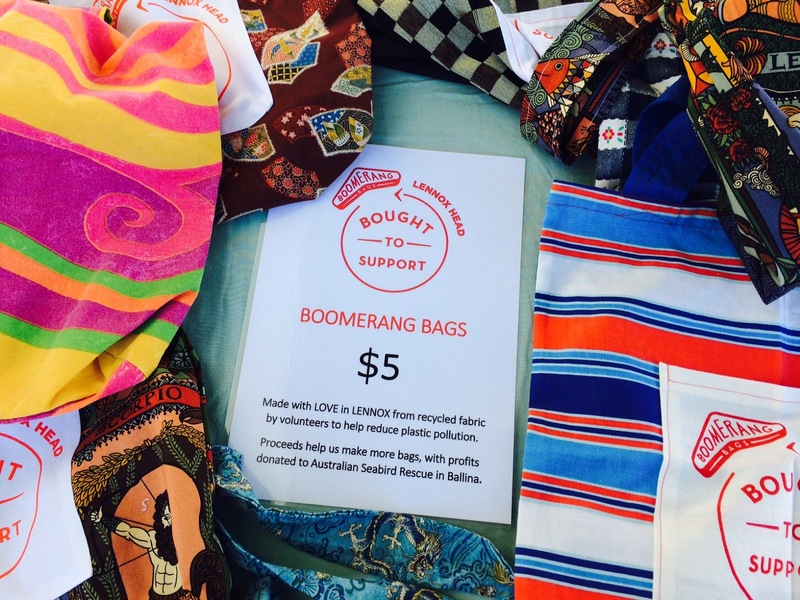 It's about being part of a global Boomerang Bags movement set up in 2013 by friends Tania Potts and Jordyn de Boer in Burleigh Heads, south-east Queensland. There are now more than 775 Boomerang Bags communities all over the world and together we've made more than 200,000 Boomerang Bags! 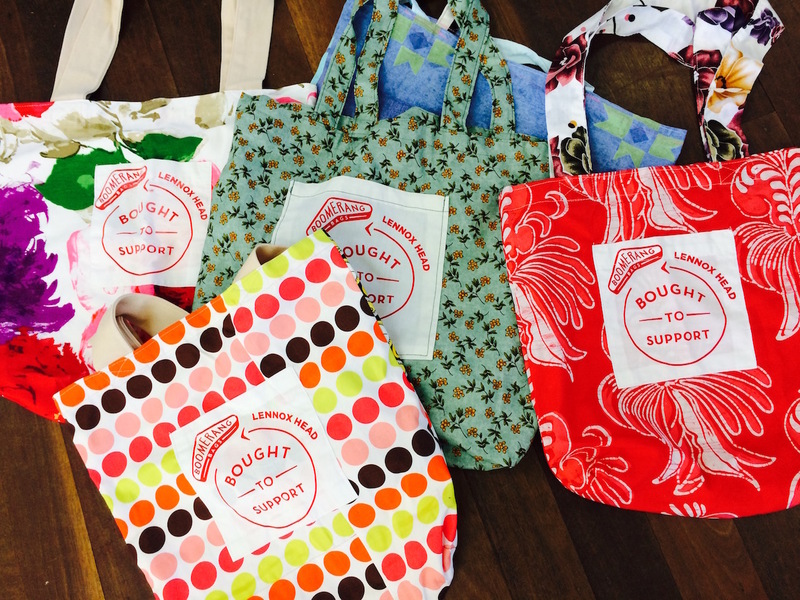 Boomerang Bags HQ helps people set up these communities and supports us all in various ways, providing everything from bag-making patterns to logos to moral support. Their website also has a map to help people find their nearest BB community. The original idea was that people would return the shopping bags, like boomerangs, to the shops they had borrowed them from, but Boomerang Bags HQ has tweaked that model (because the bag-return rate was low in some communities). So we're making two kinds of bags: Borrow & Reuse (available for free in four small grocery shops in Lennox*) and Bought to Support (sold for $5 so that customers can keep them*). Old jeans become new bags! And everyone seems to love them. 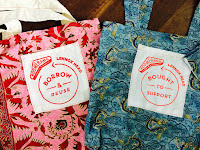 When we launched at last month's Love Lennox festival, we sold 104 bags (! ), all different patterns, colours and styles. We even have bags made out of jeans (thanks to the talented Mr Spider, our only male sew-er). It was accidentally perfect timing, with IGA, Coles and Woolworths supermarkets across Australia phasing out single-use plastic bags around the same time and with #plasticfreejuly just around the corner. 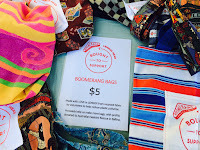 What really blows me away about Boomerang Bags, however, is that it involves so many parts of the community - and everyone is so positive about it. The shop owners who distribute the bags, the library staff who have supported us from day one and still collect fabric donations, the local businesses donating pre-loved curtains and cushion covers. Ballina Shire Council funds our room hire for the sewing bees; local media outlets such as the Lennox Wave and Ballina Advocate have helped us spread the word. Of course none of it would be possible without our wonderful volunteers. We have about 15 regulars and they all seem to really love being part of it. Many turn up at a sewing bee with an armful of bags, sometimes as many as 20, they'd made at home in their spare time. 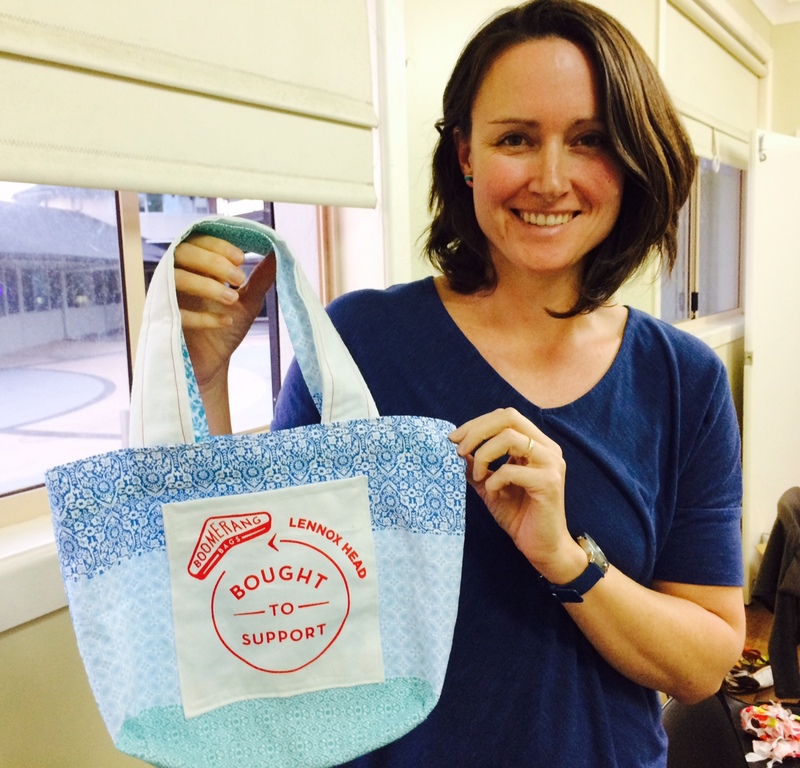 "I love going to the sewing bees in Lennox because it's social, good for the environment and creative all at once," says Jacqui Lachmann, who has been sewing for us from the start and has been doing her own Plastic Free July Challenge this month, summing it up perfectly. As for me, I love that this has connected me with like-minded people I might not have met otherwise, given me a taste of "craftivism" (doing creative work for a good cause) and renewed my faith in people power. Oh, and it's fun! Our next challenge is to make sure we don't run out of bags or turn into a bag-making co-op - or sweatshop. We keep reminding ourselves that the bags are a catalyst, a means to an end. It was never about making sure every Lennox local has a Boomerang Bag (though I would love to see Lennox plastic-bag free one day). It's about rethinking how we use plastic in our daily lives and changing the world, one reusable shopping bag at a time. 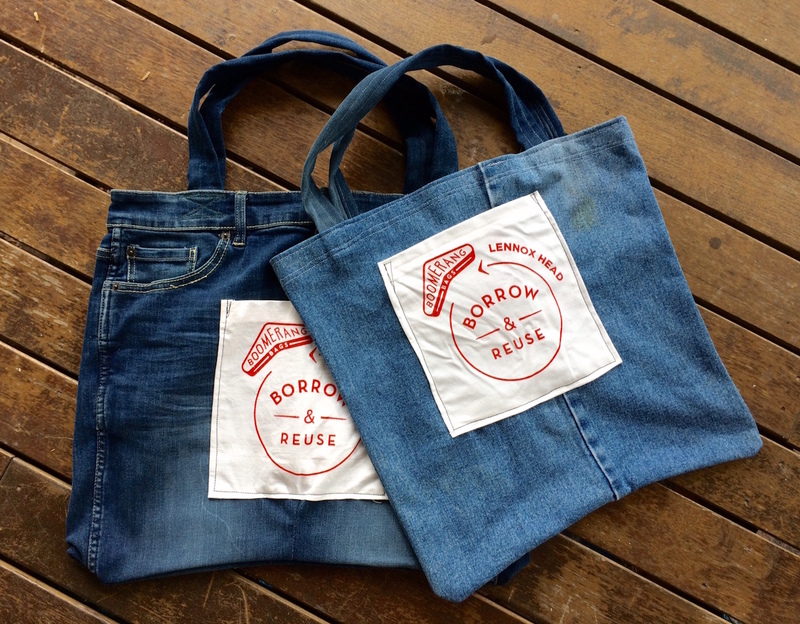 *Our Borrow & Reuse bags are available at the following shops in Lennox Head: Seagrass, Seed & Husk, Nixon Bulk Foods and Jordan's Farm. Bought to Support bags are available for $5 at the Lennox servo (The Station Grocer) and, from this week, IGA Lennox Head and The Lennox Hotel. As a not-for-profit, any money we earn covers expenses such as thread and sewing machine repairs and the rest is donated to charities such as Australian Seabird Rescue.